If you’ve ever suffered from blemished skin, you’ll know how self-conscious it can make you feel. We often try a variety of potions and lotions, old wives tales and even chemical cocktails to clear up those pesky pimples, rashes or blemishes. But what actually works to clear skin long term and keep it that way? Let’s start with some quick skin facts. Your skin is the largest and fastest growing organ of your body. Never thought of it that way? It’s a living, breathing organ, whose health ebbs and flows based on a number of factors that can be influenced to help maintain a clear, glowing skin. The problem with most skin care solutions is that they don’t address the root cause of the problem. Even though your skin is the outermost layer of your body, it’s health comes from deep inside. Hippocrates, commonly thought of as the father of modern medicine, famously quoted ‘All disease begins in the gut’. When we think about the skin, this certainly holds true. ‘What you put inside, shows outside’. Yes, your gut health has an incredibly strong connection to your skin health. Both the state of your gut health and the food you eat significantly affects the state of your skin. The gut-skin axis describes the interconnected nature of these two body systems. 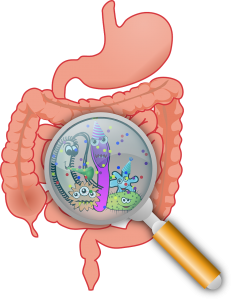 Our gut microbiome – the number and type of gut bacteria we carry in our digestive system – is a key factor in many disease conditions, including skin health. The skin, too, has a microbiome, which has not yet been studied as deeply as the gut microbiome, yet the state of your skin microbiome is also a key factor in your skin health. It’s known that rosacea is commonly associated with SIBO – small intestinal bacterial overgrowth. This is a good example of how a gut condition that directly involves the microbiome, can cause the development of a skin condition. Without solving the underlying gut condition, no amount of products applied externally to the skin will treat or reverse the rosacea. Coeliac disease and inflammatory bowel disease are also commonly associated with skin conditions. We must not forget that the skin can also affect the gut, and this can occur in two ways. Products applied to the skin that contain chemicals are absorbed through the skin into the body, affecting our health in multiple ways. Also, certain chemicals disrupt the skin microbiome, affecting its ability to maintain healthy skin. 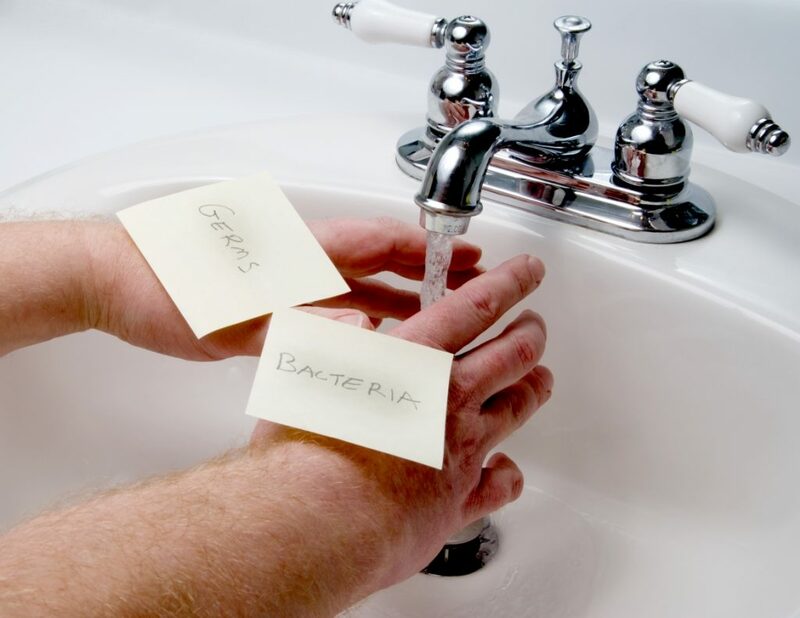 The increase in using chemical based substances for hygiene purposes, such as antibacterial hand washes, affects the delicate balance of good and bad bacteria, and alters the pH of the skin, allowing bad bacteria to flourish. Many skin care products also contain preservatives, and these are typical anti-bacterial. The problem is that these preservatives, when applied to the skin, are also killing off our good skin bacteria. Another way skin care products affect the skin is by having a drying effect. This reduces the natural oils on the skin, under the mistaken assumption that less oil will mean less blemishes. However, the real effect of this is to reduce the skin’s ability to protect itself and it disrupts the microbiome balance further. Understanding the gut-skin connection explains why most topical skin care routines on their own don’t work. They are attempting to solve the problem from the outside in, when it needs to be addressed from the inside out. So how can you enhance the health of your gut-skin axis? Clean out your skin care cupboard of any products containing damaging chemicals. Avoid using skin care products that contain triclosan and phthalates, mineral oils, propylene glycols, petroleum and petroleum byproducts, and parabens. Make sure you read your labels, since sometimes products labeled ‘natural’ can contain hidden ingredients that will negatively affect your skin or gut microbiome. For natural, long lasting health and beauty for your skin, make sure your beauty routine considers your gut health. 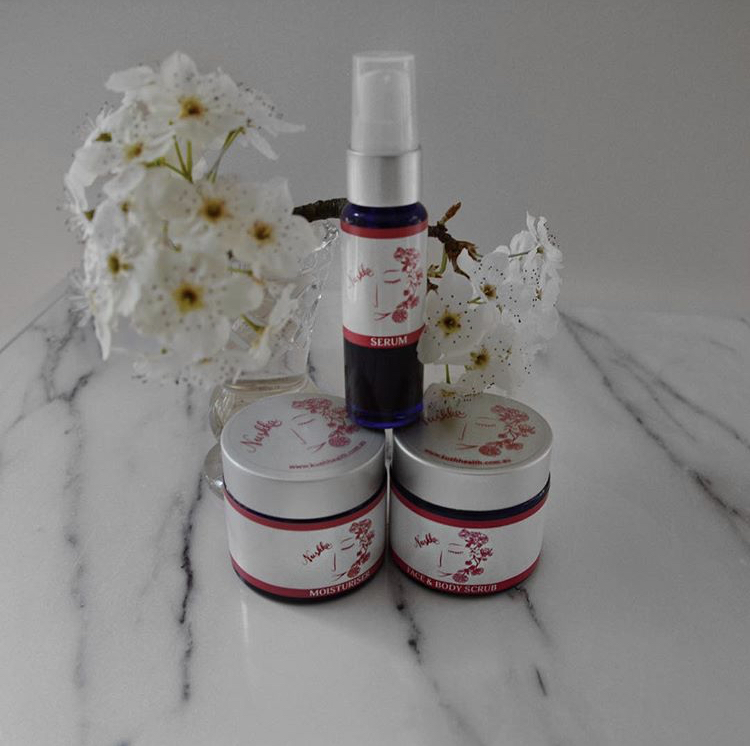 Nushka Skincare products are designed with this in mind, avoiding chemicals that can disrupt the delicate microbiome balance while using natural and organic ingredients that enhance skin health. For true, deep skin health, combine these high quality products with a personalised gut healing plan by Kush. You can call Kush for a free 20 minute consultation to see how she can help you on 0404 666 184.